The classic children's book newly illustrated and entirely in colour. A special edition for the 50th anniversary of the first edition. Product information "Meister Eder und sein Pumuckl"
Everything goes wrong in master Eder’s workshop. Where did the rasp go? Why do the nails in his workshop keep falling? And didn’t the pot of glue move just now? The old master carpenter is very astonished when he sees who is sticking to his pot of glue: a real goblin! And from now on nothing is as it had been before. Fortunately! 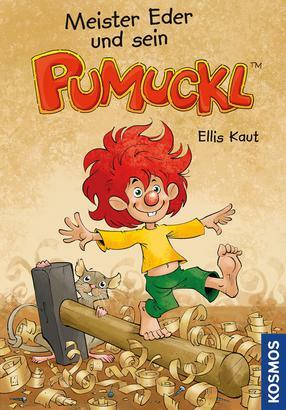 Because Pumuckl turns Eder’s life upside down and together they go on many fun adventures.